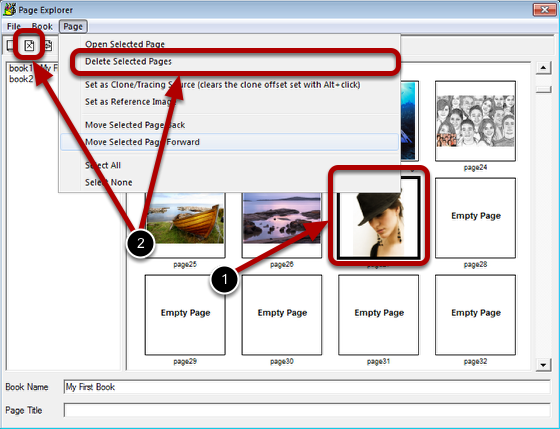 With these two command you can move the selected page up or down in position in your book, swapping places with the page next to it. This page was moved up in position. Because the page in step 2 was moved up this page was moved down in position in the book. Select the book you want to name and enter the text in the Book Name field. 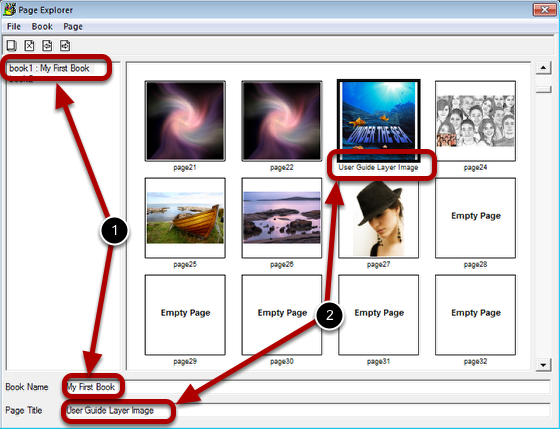 Select the page you want to name and enter the text in the Page Title field. 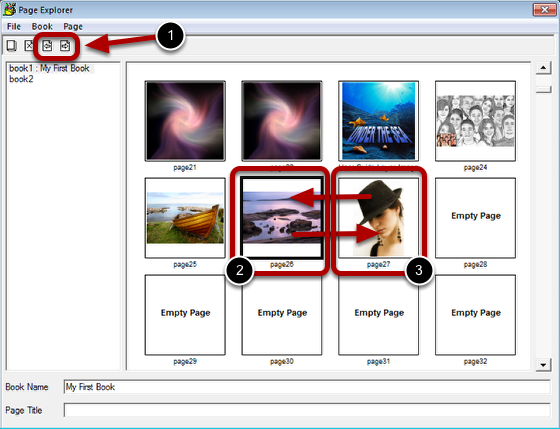 To delete the selected page either click the Delete Page icon or select Delete Selected Pages from the Page menu. 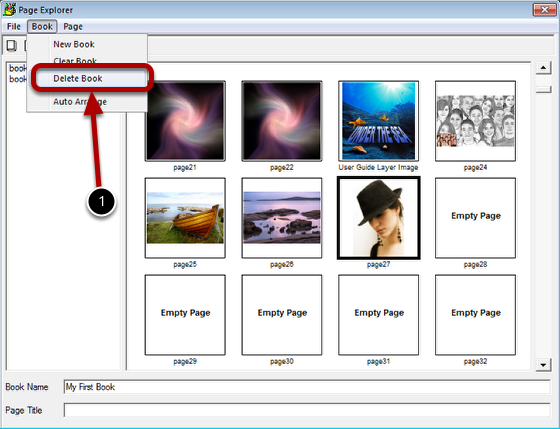 Selecting the Delete Book item from the Book menu will delete every page in your book. Use caution this action can not be reversed and every image in your book will be deleted.